It is now week two of the Blogfest! I still haven't managed to get either of my interviews from last week done, but I'm still perfectly willing to conduct them (Call me! Or email me! or something!). It's not too late to sign up for the 'Fest right here. Today's assignment is to post the first paragraph of our WIP. To be fair, I've stopped considering this novel as "in progress," since I just finished a comprehensive and exhaustive revision courtesy of the Divine and Thoughtful input of The Supreme Crit Partner. I feel a little bit like a cheater posting it here as a WIP, but I'm going to do it anyway. So there. Idiots. I have no idea why they kept trying, but I guess everyone needs a hobby. For the third time in as many weeks, someone cornered me in the Common. I guess it's a sign. I should change my route. It probably won't stop the idiots, but I do get sick of fighting them off. So there you have it. Like I said, it's more or less as finished as any novel ever gets (which means it's done until the next person reads it and makes additional fantastic suggestions for improvement. Would you like to be that person? Right now, I'm looking for Exalted and Beloved Beta Readers. If you enjoy Adult Urban Fantasy, and would like to offer an opinion for me, I'd be grateful to anyone who would like to read it. If you want more than the first paragraph as a teaser, my query is posted as a link up at the top of this page. If it sounds like your kind of thing, please let me know in the comments. I'm only looking for input about whether or not the story holds up, if the characters are believable and likeable, or if you like the story. I am not looking for editors. Basically, if you can read it for pleasure (and confirm whether or not the experience was actually pleasurable), you're the right person for this job. Any takers? Please fill out the Beta Reader Application Form by leaving a comment below! 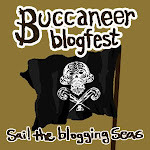 Enjoy the Blogginess of the Blogfest! I definitely want to know who those idiots are!! I'd be happy to tell you all about it. I like the sound of your opening paragraph, too! Deep south in the 1950's! An Interesting time to write about. And why are they cornering her in the common? Curious! Such a small snippet! I'd love to read more, and I'd volunteer to beta read if I didn't have so much on my plate right now.